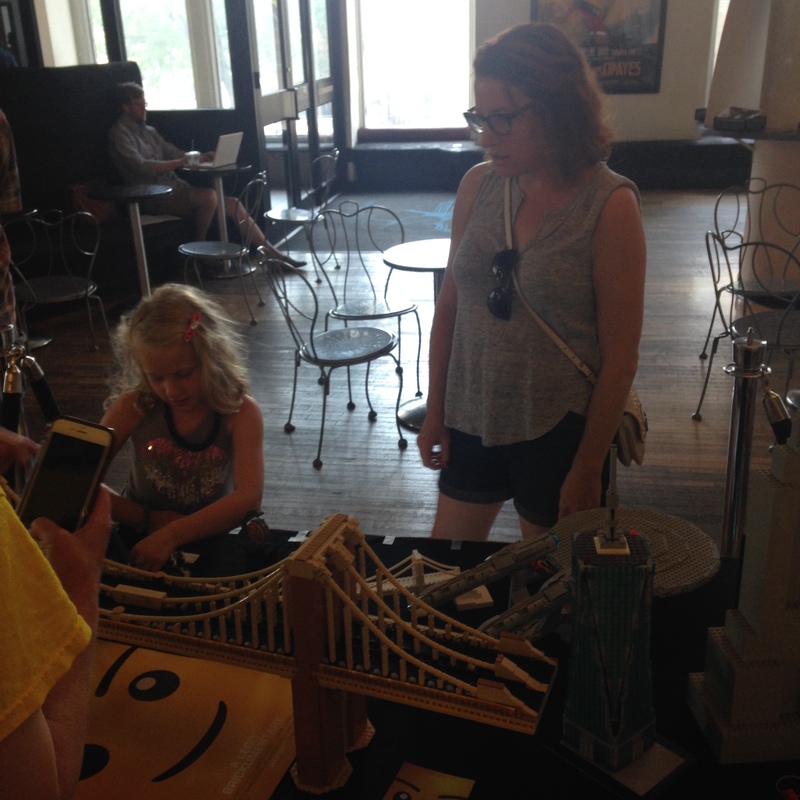 Our members put on a successful AFOL display at the Angelika Film Center in Manhattan for the NYC premiere of “A LEGO Brickumentary”! 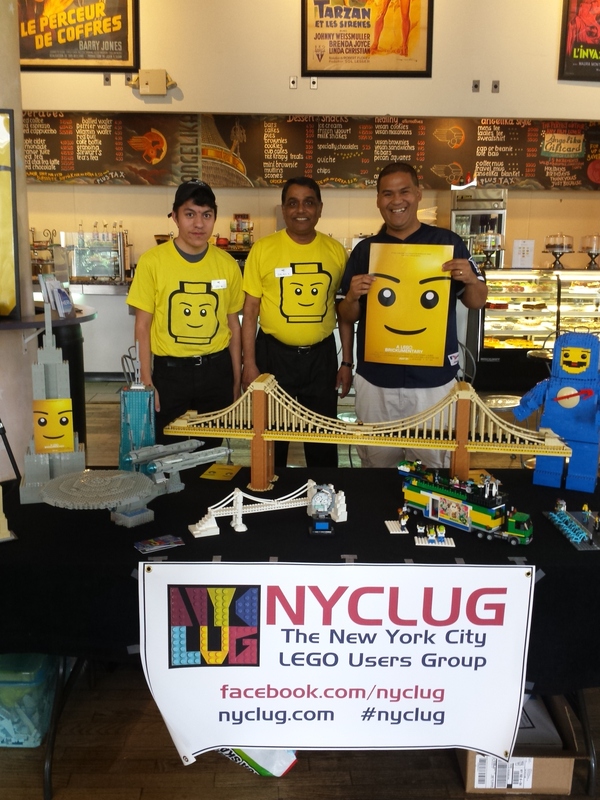 Parents and kids stopped by to check out New York City-themed MOCs by NYCLUG members Lyn, Donald, Sid and Don, who gave out free “Brickumentary” posters and postcards, and answered questions about the film! 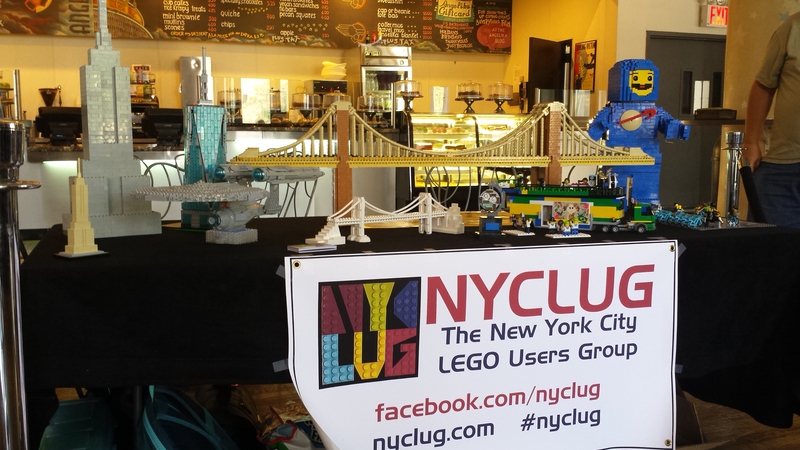 Our MOCs included Don’s George Washington Bridge, Lyn’s Citibike stand and Brazilian Trio Electrico, Donald’s joyriding motorcyclist and Sid’s Bricklyn Bridge. 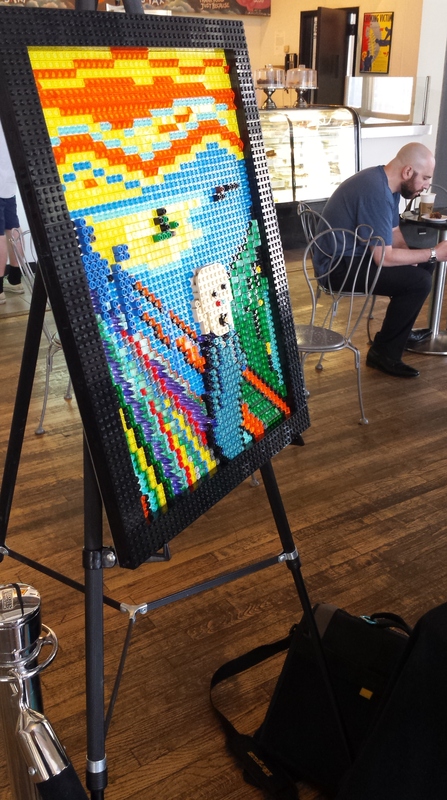 A Saturday morning into afternoon well-spent! 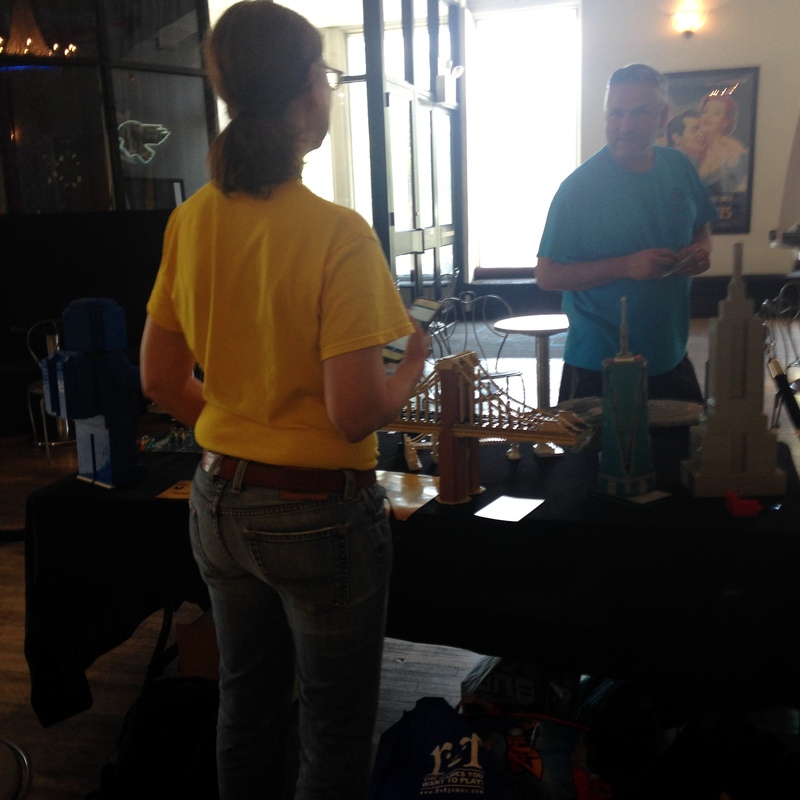 Lyn speaks with a moviegoer about our MOCs, just one of many curious onlookers at the Angelika. Mom is a “Star Trek” fan while Dad is a “Star Wars” fan, but this young visitor was most interested in the CitiBikes! 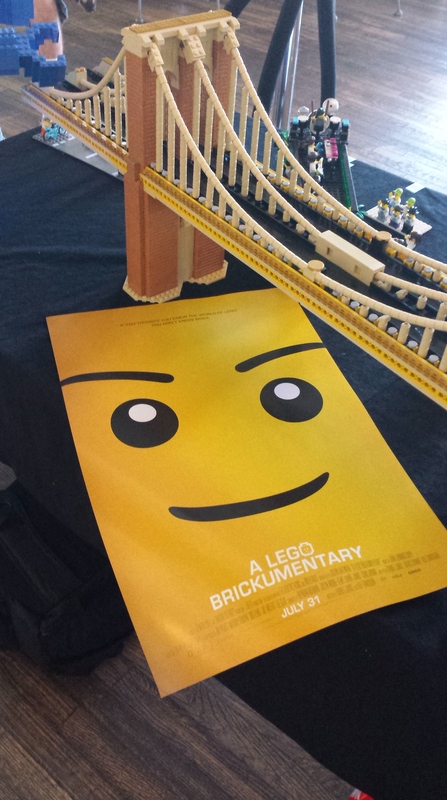 A slightly smaller version of the film’s official poster. 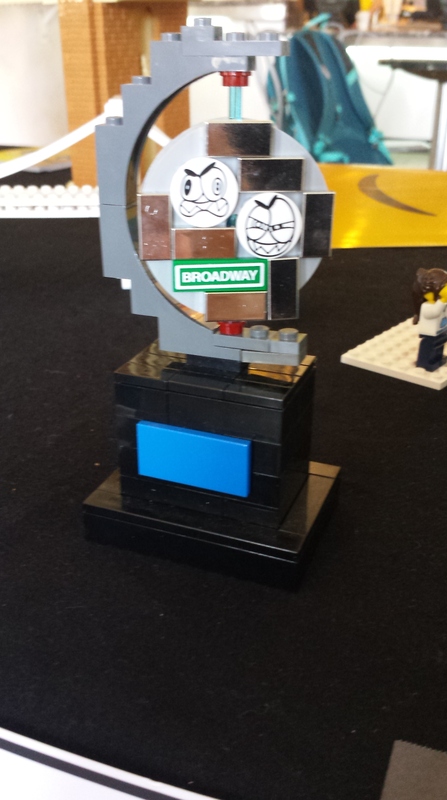 A front shot of our display, set inside the Angelika Film Center’s bustling lobby. Lyn, Donald and Sid, near the end of a good NYCLUG day! 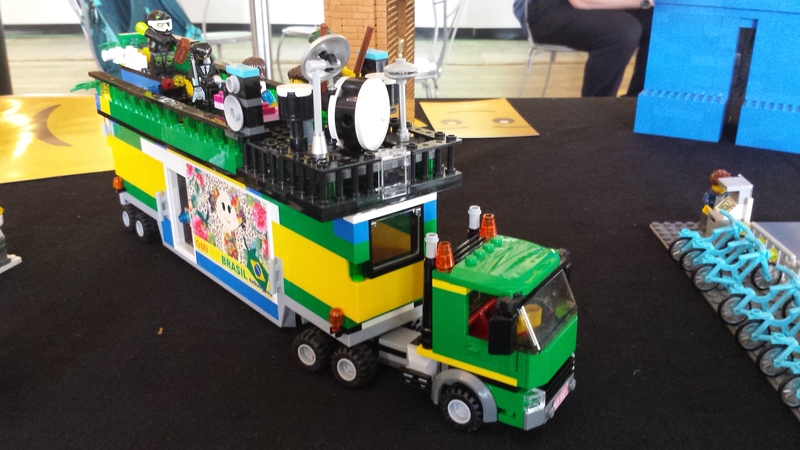 Great write-up and pictures! 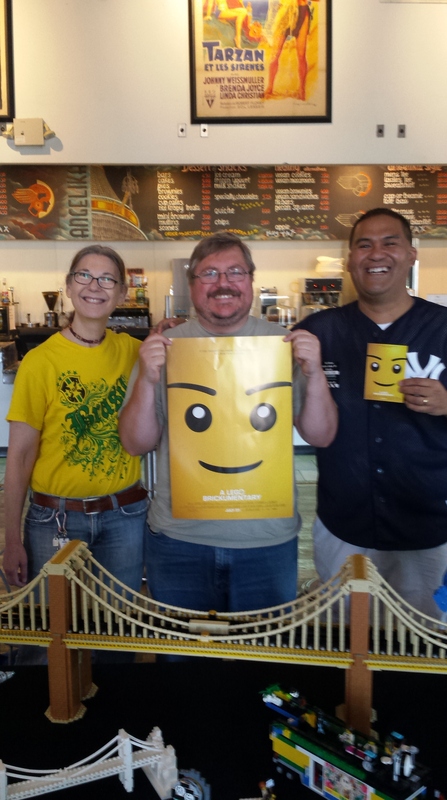 Thank you, Sid, for organizing this fun event and writing about it!